Robin Bady‘s storytelling show Nancy Drewinsky, or, The Search for the Missing Letter will be a part of the United Solo Festival this fall at Theatre Row. The piece investigates Robin’s family connection to Senator Joseph McCarthy hearings on communism, a painful era in US history and in Robin’s personal history. Robin is published in Storytelling Across the Curriculum and Storytelling Magazine. Currently, she is a co-founder of The National G.H.O.S.T. Project, which teaches young people to research, write and perform ghost stories. Robin hosts the BADYHouse Storytelling Concerts in Brooklyn and curates the annual Governor’s Island Storytelling Festival in New York Harbor. She is the recipient of the JJ Reneaux Emerging Artist Award and the Oracle Award for Leadership and Service for the MidAtlantic Region of NSN. Works by Women spoke with Robin Bady about Nancy Drewinsky, the United Solo Festival and the best advice she’s ever received. 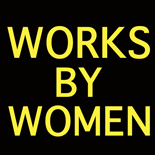 WORKS BY WOMEN: Your show is based on your family history and an infamous American political movement. How did you delve into creating this work? ROBIN BADY: I started with questions and research – questions of myself, my family, and family friends about experiences and recollections of the times (in general), Joseph McCarthy and Ft. Monmouth (where it all happened). Research on the period – books on the history of Jews in Monmouth County, McCarthy and McCarthyism. I went down to the Jersey shore to the site of the old Fort Monmouth and the Camp Evans site and to the United States Army Communications Electronic Museum where I talked with a lot of “old timers” and history buffs who shared records of hearings by McCarthy and his surrogates. I went through microfilm of the Asbury Park Press, our local paper. And of course, I explored articles online. Then I wrote, checked, cried, wrote, checked, wrote, cried, researched a little more, wrote and wrote. WBW: How has the development of this piece deepened your understanding of American history? Your own personal history? RB: I knew a lot of the broad stroke history already. As I read and worked, and exposed the blow by blow, date by date understanding of how McCarthy operated and how McCarthyism took hold of the country, and put it in context, my understanding grew chillier. And, little by little, I began to realize how inescapably personal all of this was. To my surprise this piece was difficult to work on – the internal trauma of the history was more deeply imbedded in me and the family than I had realized, even though I was only a toddler at the time. It has changed my understanding of how my family operated back then, and operates still today, and why. WBW: Tell me about working with your director Loren Niemi. RB: Loren acted as coach, mentor, friend and confidante. We discussed what needed to be in the story. Then I would write. We would discuss what was superfluous. Then I would write more. I shaped, he shaped. We talked. And that’s how the flow of the story developed. I cried a lot in the beginning, and bucked the work, but he has been an invaluable support and guide throughout the process. WBW: What excites you about being part of United Solo? RB: This curated festival includes people from all over the country and all over world, and I am honored to be one of the performers. As a storyteller, I am so happy to be amongst other performers who love the singular performance form as much as I do! WBW: What first drew you to theater? RB: I have always been involved in theater, having been one of those kids who came into the world dancing and singing and speaking way too loudly. It was a place of make believe where I could play with a community like-minded people and create specificity in worlds which we then brought to share with audiences. A lot of hard work would erupt into the joy of performance. When I grew older, I discovered that theater could tell stories which are important and immediate, impact people’s lives and influence their point of view. Storytelling is the distilled essence of all art forms. It offers the opportunity to play, share, be part of a community, have fun and tell stories that are important, impactful and life changing. That’s why I am still there. WBW: What makes theater a viable art form in 2017? RB: How could it not be? It is alive, connected, in your face, in the moment, real – and all the things that digital, video, TV, screened and filmic art is not. As long as there are humans, we will need that immediacy. RB: Every so-called mistake is an opportunity for something new. See Nancy Drewinsky, or, The Search for The Missing Letter at United Solo on September 21 at 7:30pm. Buy tickets HERE. This entry was posted on August 25, 2017 by worksbywomen in History, Interview, Off-Off Broadway, Theater and tagged joseph mccarthy, loren niemi, nancy drewinsky, robin bady, storytelling, storytelling magazine, Theatre Row, united solo.